As of November 3rd, Norn 9: Var Commons is exclusively available for the PlayStation Vita. It is currently available for $40 in either digital or physical release, and digital-only in Europe. The game was developed by Aksys Games, a company known for visual novels and Otome titles. Voyage to the heart of imagination. Aksys Games and Idea Factory are proud to announce that Norn9: Var Commons is available today! Exclusive to the PlayStation®Vita handheld entertainment system, Norn9: Var Commons is now available for retail and digital in North America and digital in Europe. Board a mysterious aircraft and voyage with twelve young men and women with amazing powers! Pre-order today on Amazon or Gamestop! To learn more, check out the official website for more updates! The beloved Japanese adventure series makes its long awaited US debut today exclusively on the PS Vita system! Players will be tasked with unraveling a vast mystery that will test the very limits of time and space! Disoriented, you find yourself aboard a mysterious aircraft with twelve other young individuals. Possessing fantastical powers that defy logic and elude reason, each passenger represents an arcane piece in an unknowable puzzle. What is the purpose of their journey? What is their destination? Prepare yourself. Join the voyage to reveal the truth! Legendary maestro Nobuo Uematsu (Final Fantasy series) lends his talents to weave a soul swaying title theme unlike anything heard before. Famed artist Akiba Minoru (Pokemon the Movie) provides expansive landscapes and awe inspiring visuals. A 50+ hour story, branching story path and multiple endings ensure a deep and engrossing gaming experience. Complete all routes to reveal the truth! Re-live your favorite moments with gallery mode! Explore mini games, collect points to unlock bonus illustrations and much more! 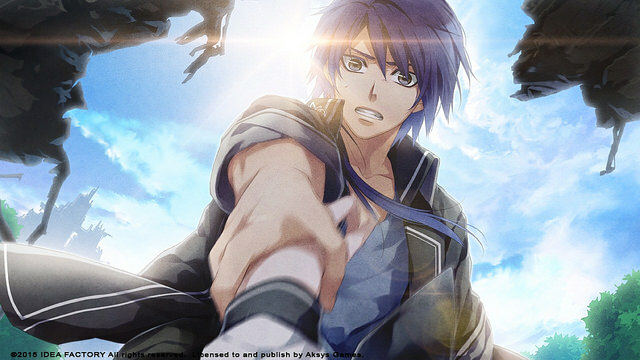 Norn9: Var Commons has not been rated by the Entertainment Software Ratings Board (ESRB). For more information, visit www.esrb.org.